You guys…it’s the weekend, and we couldn’t be happier! Packing is majorly underway. I’ve now resorted to having the movers pack Coco’s room, our garage and the kitchen because time is quickly running out and trying to pack with a toddler and a baby has proven to be challenging- go figure! But seriously, we’re so excited. I wish I was blogging more regularly but there have been other priorities over the last few weeks as you can imagine so thanks for bearing with me! 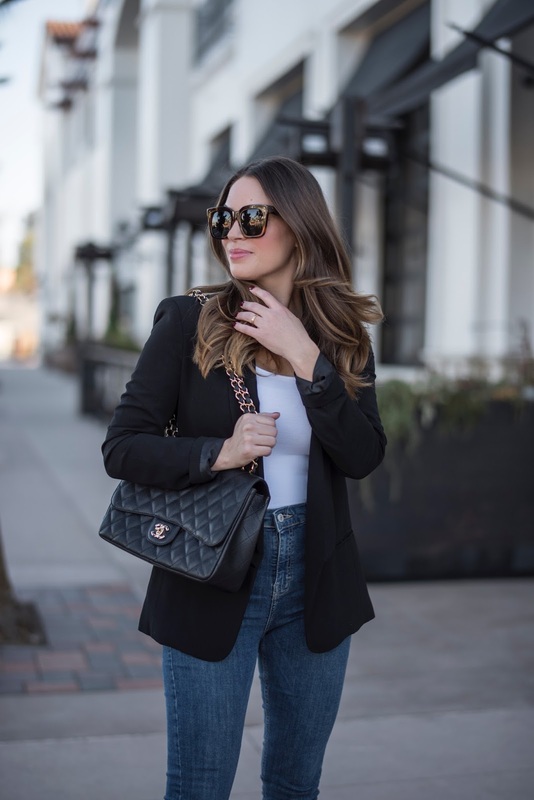 So this post is titled, ‘Styling a Black Blazer’…but the irony here is that you really don’t NEED to style a classic, black blazer as it just sort of styles itself. 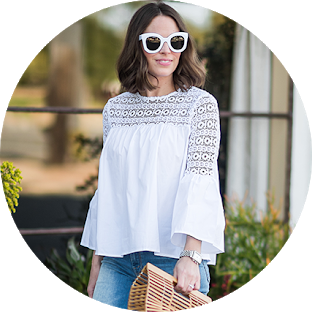 There is a blog post in the works all about classic pieces every gal needs in her wardrobe and you better believe this item is on the list! A black blazer fits the mold of whatever you NEED it to which makes it really versatile. It works just as well in a professional setting as it does for a wine night with the girls. Lately, I’ve gravitated toward neutrals like this plain white top but this blazer would pair wonderfully with a printed camisole or striped top under it.Heading out for date night? Throw it on with a grey v-neck T-shirt and some leather leggings or front tuck the t-shirt into some skinny jeans! The options are truly endless. I found this one on a random shopping Nordstrom shopping trip with my Mom, and we both agreed it was a must have! I bet many of you already have something like this in your closet. Break it out and wear that gem this weekend! Speaking of weekends, what are you guys up to? We are obviously packing, lol!